Victory against deportations in Minnesota! The Minnesota Immigrant Rights Action Committee (MIRAC) reports a victory on June 11, Hennepin County Sheriff Stanek announced that the Hennepin County Jail will no longer honor Immigration and Customs Enforcement (ICE) detainer requests, or “ICE holds”, which have resulted in countless deportations against immigrants who are guilty of no crime. MIRAC has worked for this change since 2010 through our No More Deportations campaign, as one way to stop the outrageous number of deportations that are happening to our friends, families, and neighbors in Hennepin County and around the country in the wake of the disastrous “Secure Communities” national deportation program. Since 2009 when President Obama took office, 2 million people have been deported, more than under any other administration in U.S. history. Most of those deportations happen through county jails. Over the past four years MIRAC has organized dozens of protests outside the Hennepin County Jail and Sheriff Stanek’s office. Just last week we protested about this issue outside Sheriff Stanek’s reelection campaign fundraising event in downtown Minneapolis, while three activists also attempted to respectfully raise the issue inside the event but were forcibly removed. We have met with Hennepin County commissioners, and we have organized call-in days for people to call their county commissioner and call the sheriff to demand ‘no more deportations.’ We have organized dozens of educational events and ‘know your rights’ trainings at churches and community centers in Hennepin County about these deportation programs and how people can protect themselves. This is a victory of immigrants, their families and friends, and organizations and fighters for social justice who have spoken out boldly to demand that Sheriff Stanek make this change. We are proud to have done our part to contribute to this victory that will prevent immigrant families in Hennepin County from being separated. This is not a victory of just MIRAC or any organization but part of the larger movement for immigrant rights in Minnesota. 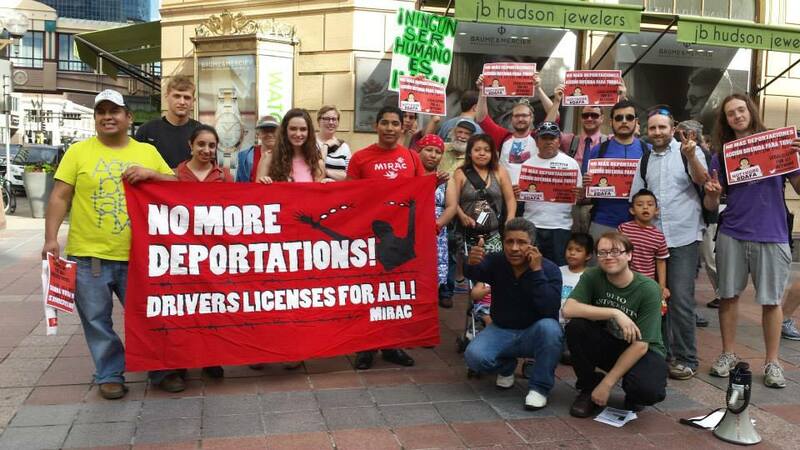 The Minnesota Immigrant Rights Action Committee (MIRAC) is an all-volunteer grassroots organization that initiated the No More Deportations campaign to fight for an end to deportations in Minnesota and in the country as a whole. MIRAC works for legalization and full equality for all regardless of citizenship status. MIRAC is part of the national Legalization for All Network.